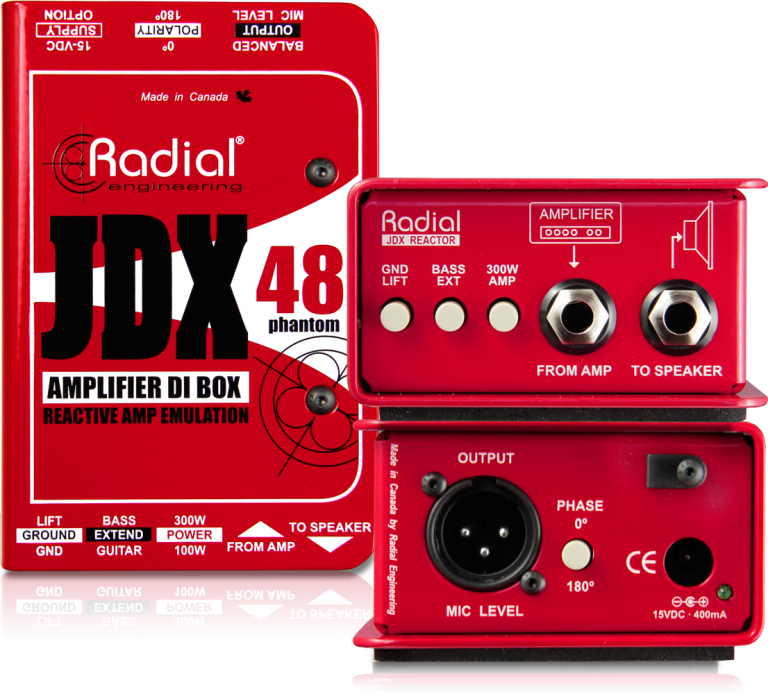 The JDX 48 makes it easy to get a consistent and natural amplifier tone through the PA system night after night, by taking a feed directly from your amplifier and employing Radial's popular JDX speaker emulation that produces an effect similar to placing a dynamic microphone in front of a 4x12 half stack cabinet. This gives you a more manageable sound onstage for gigs where feedback is an issue, or if mic'ing your amp isn't an option. 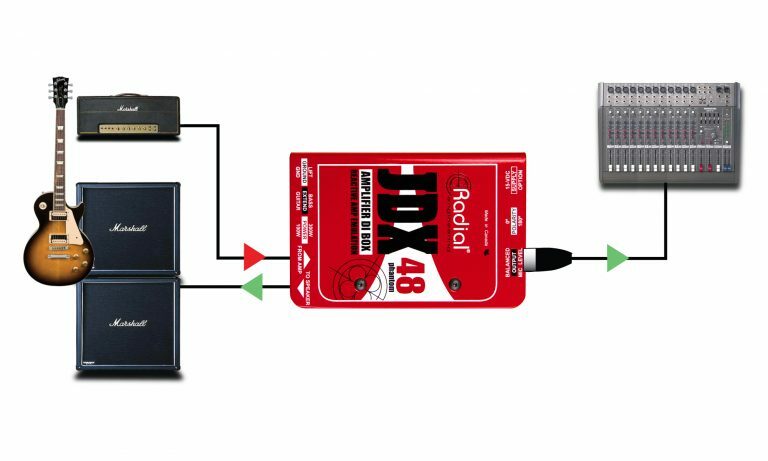 For artists that employ in-ear monitoring systems, the JDX 48 provides consistent tone each night in the monitor mix for shorter setup times and a more comfortable audio feed for the artist. 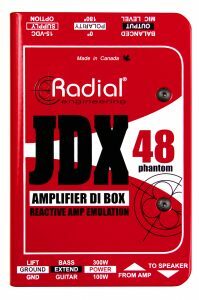 The Radial JDX is connected in between the head and the cabinet where it taps a minute signal off the circuit. 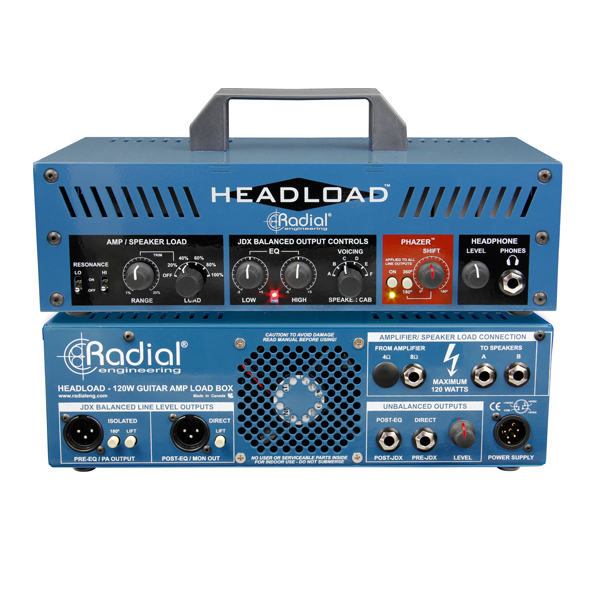 The reactive load captures both the sound from the head and the impulse from the cabinet for a more realistic tone. 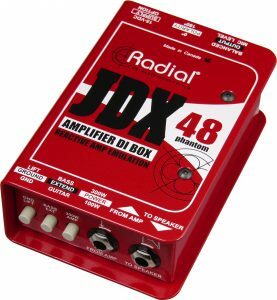 Bass guitar sounds amazing with the JDX! 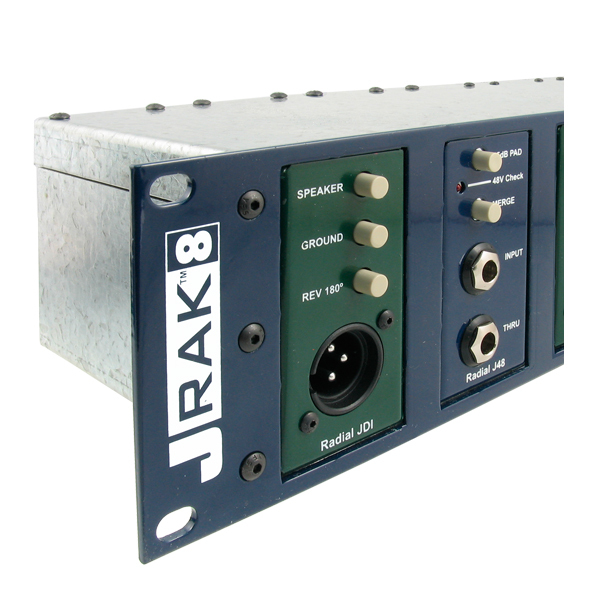 You get a fat low-mid punch and extra clarity that makes the bass stand out. 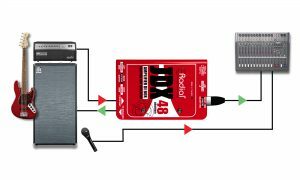 It truly sounds like you are playing through an SVT with all the grind and drive… yet it is coming through the PA.
For even more fun, combine the direct sound of the JDX with a microphone. 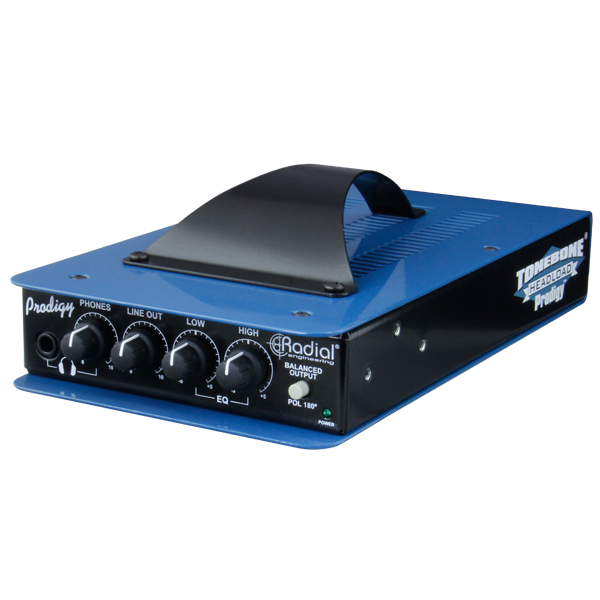 Use the Radial Phazer to time-align the two signals and be prepared for the biggest, fattest, most amazing tones ever. 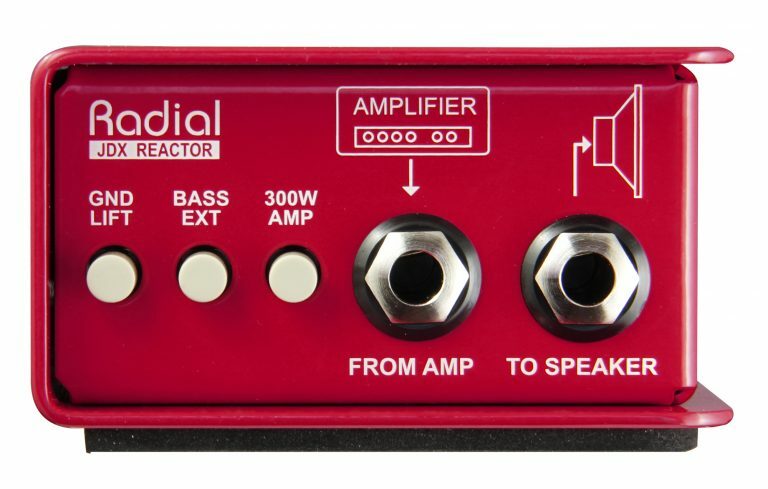 Careful… this is addictive! "Even in an ideal venue with a large stage, where volume or bleed-through are not a concern, pairing the JDX with a mic is not only a good backup, but a great way to add a layer to one's guitar tone." "During soundcheck, I had the other guitarist play along with the band, and I compared the miked cabinet tone (a Shure SM57 right on the cone) and the JDX sound through the main house system. 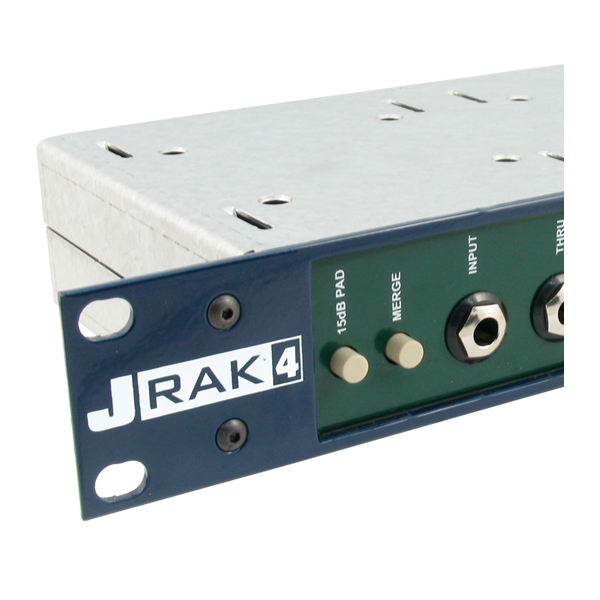 I was sold immediately on the JDX's precision and impact." 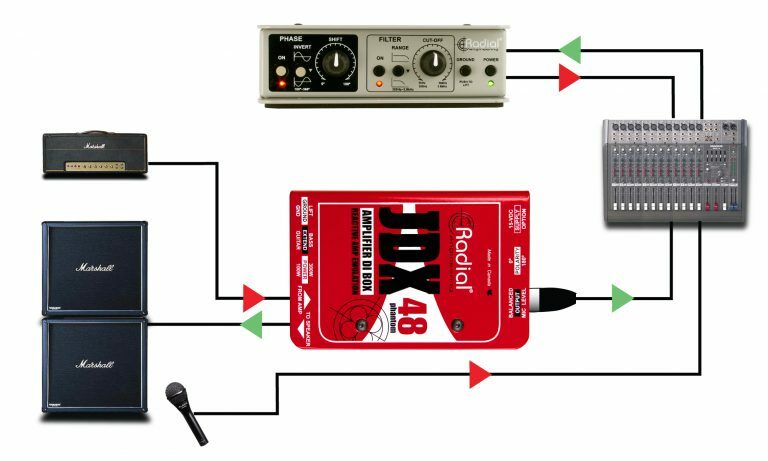 "The JDX is a dream for a live-sound situation as the bleed from a real mic can cause a mix to sound uncontrolled and muddy." 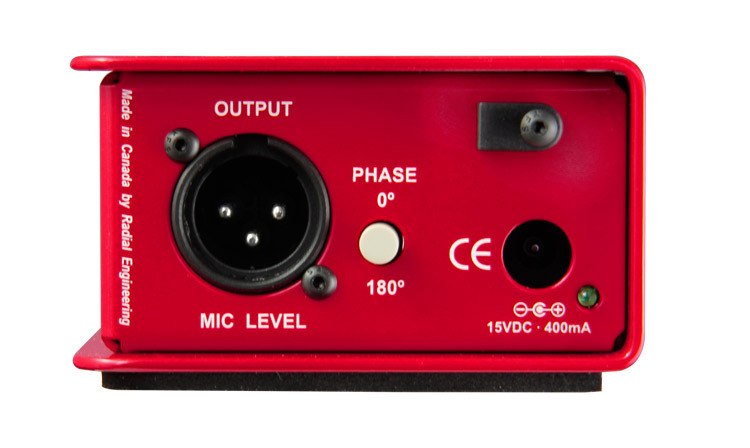 "What really makes the JDX stand out is that unlike a mic, the JDX picks up zero bleed and zero room interaction. Your track ends up super clean and incredibly focused-to the point that anything recorded through the JDX sounds so up front that you can mix its track much lower in volume and still have it punch through a dense mix." "The JDX's powerful, focused sound would be right at home in most pop or modern rock mixes. What's not to like? 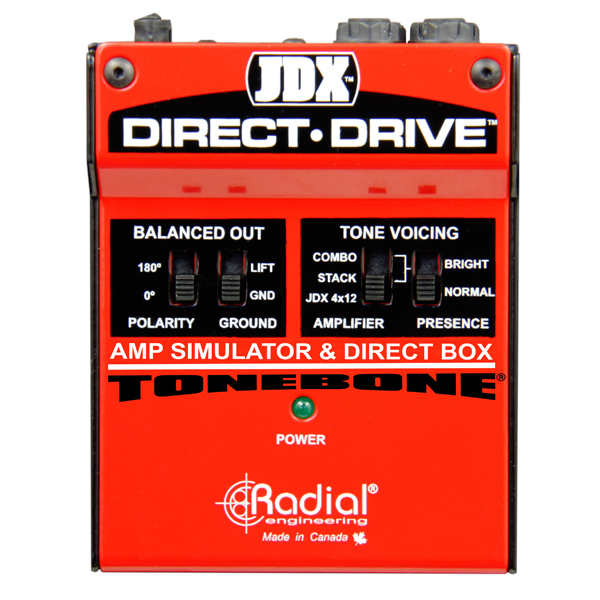 The JDX is simple and well-constructed, and it works." 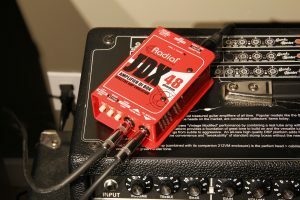 "The JDX is a highly useful tool that effectively solves the issue of day-to-day consistency, while maintaining complete isolation of a guitar or bass amp from loud nearby instruments that otherwise cause leakage." "Fans don't care about the technology... so long as the bass and guitars make Godzilla weep and hide like a beaten puppy. 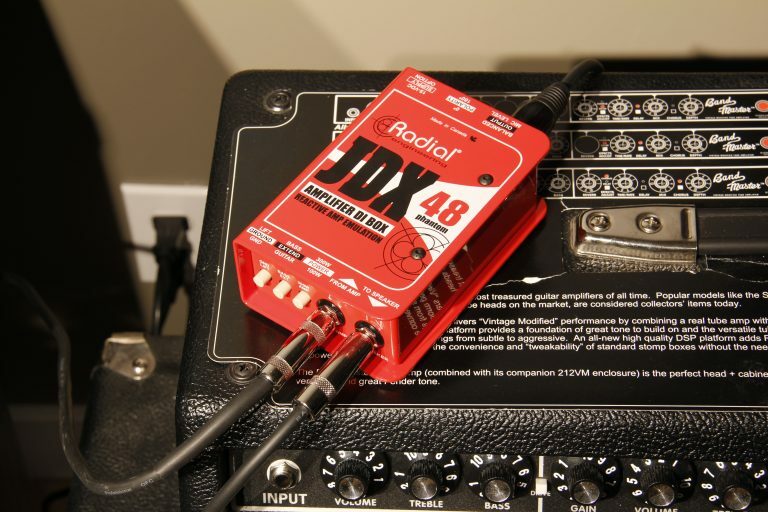 The Radial JDX works." 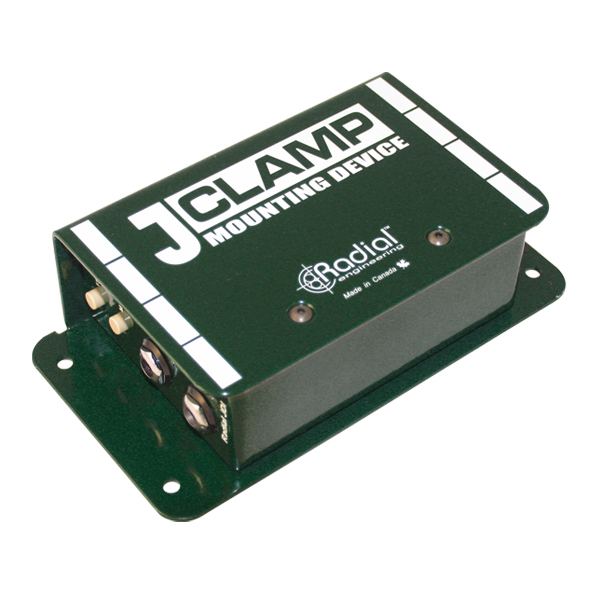 "My Radial boxes are in constant use, I take them everywhere. 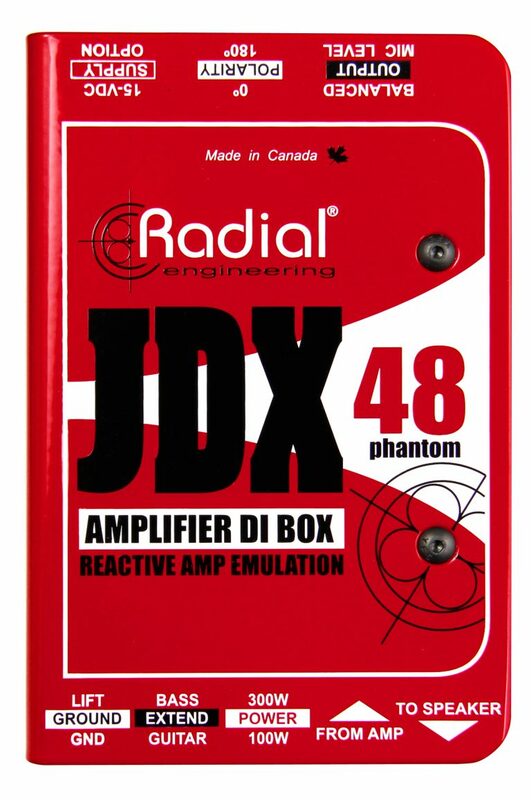 The DIs are crystal clear, I love the JDX for recording amps, the SGI and X-Amp are so useful that I don't know how I managed without them before. On top of that, they're built like tanks!" 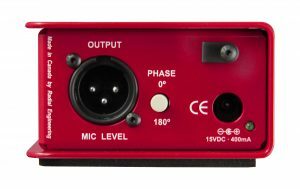 FOH / Engineer - Erykah Badu, Childish Gambino (Donald Glover), Thundercat, Lalah Hathaway, The Roots, NIIA, H.E.R. 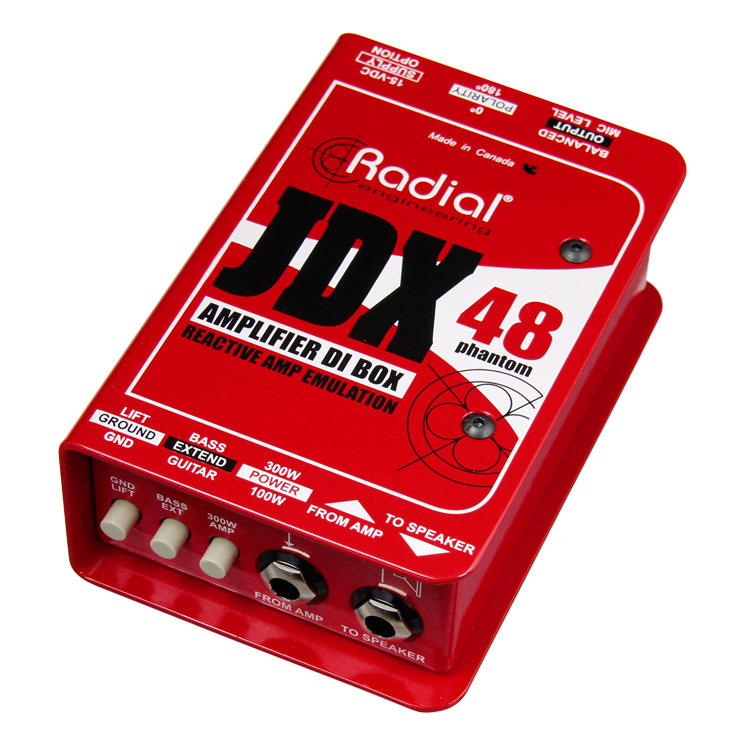 "The Radial JDX eliminates bleed and potential feedback while producing a familiar sound. 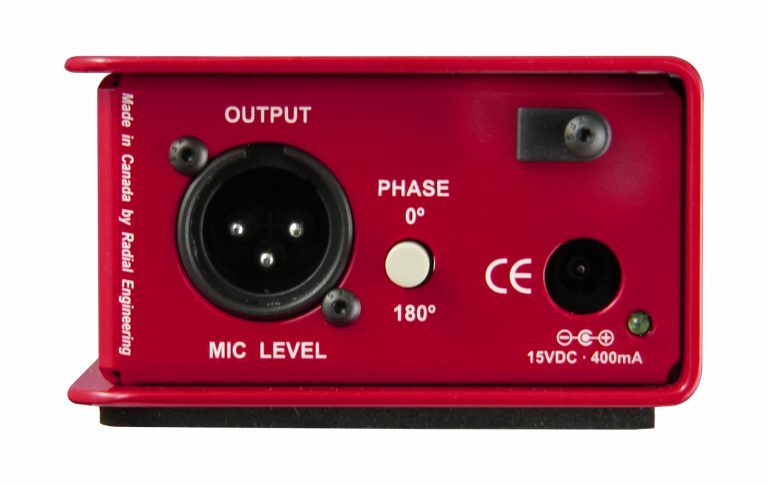 The day-to-day consistency lets me bring the faders up with confidence."